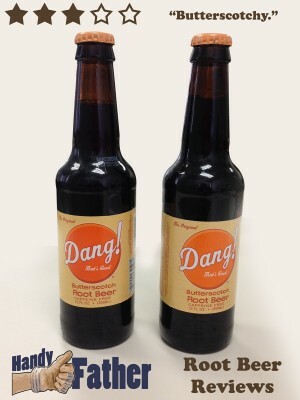 Dang Butterscotch Root Beer is root beer. With butterscotch flavoring. I don’t know why one would defile a perfectly good root beer like Dang Root Beer with butterscotch flavor, but it has been done, and this is the review.